Psychoactive cannabis plants were just discovered in a prehistoric Chinese tomb. 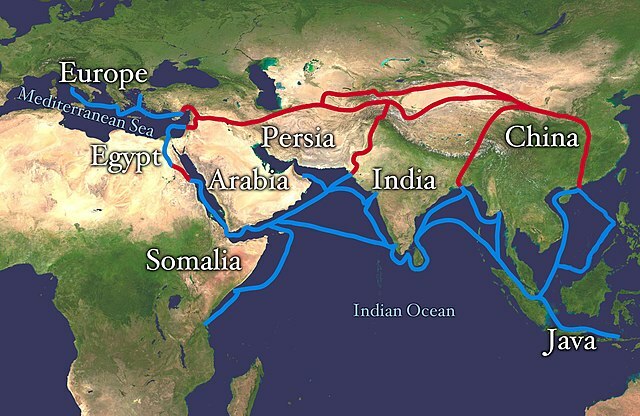 2,500 years ago, Silk Road residents and travelers liked to get high. Cannabis has been a sacred, healing plant for thousands of years. There is a surprising amount of archeological evidence has found that humans have used cannabis in all sorts of ways throughout history. A new discovery adds more evidence to the list. Chinese researchers just found cannabis plants in a 2,500-year-old tomb along the Silk Road. Archeologists have discovered a burial shroud of preserved cannabis plants in the tomb of a 35-year-old man. The plants were about 3 feet long. The roots of the plants were placed near the man’s pelvis, with the leaves fanning to the side of his face. The man had caucasian features and was found in Jiayi cemetery of China’s Turpan Basin. The desert basin was a popular stop along China’s Silk Road, which is a good sign that traders from across Eurasia were familiar with the herb. Research discussed in this paper describes 13 nearly whole plants of cannabis that appear to have been locally produced and purposefully arranged and used as a burial shroud which was placed upon a male corpse. This unique discovery provides new insight into the ritualistic use of cannabis in prehistoric central Eurasia. This isn’t the only ancient cannabis found in the area. About a decade ago, archeologists excavated two pounds of cannabis seeds and powdered leaves from a nearby tomb. Earlier findings suggest that a Siberian woman who died of breast cancer may have been using cannabis to ease her symptoms. This was 2,500 years ago. Interestingly, the woman was also covered in tattoos. Yet, the Jiayi discovery is unique. It’s the first time researchers have found entire cannabis plants. It’s also the first finding of the use of cannabis as a burial shroud. Were these plants used as a psychoactive? Every time remnants of ancient cannabis are found, scientists grapple with one main question: why were these plants used? In some cases, plants are used to make cloth. In others, hemp seeds seem to have been eaten as a nutritious and caloric food source. However, there is no evidence that the herb was used for either of these purposes in the Turpan burial. Thanks to the well-preserved tomb, archeologists were able to deduce that the plants were freshly harvested when they were put into the burial site. This means that the cannabis was locally produced. Even more fascinating, all 13 of the plants were female. Most of the flowering heads had been cut off prior to placement. The few flowers that remained were almost ripe, suggesting that burial took place in the summer. This would have been very close to harvest time. 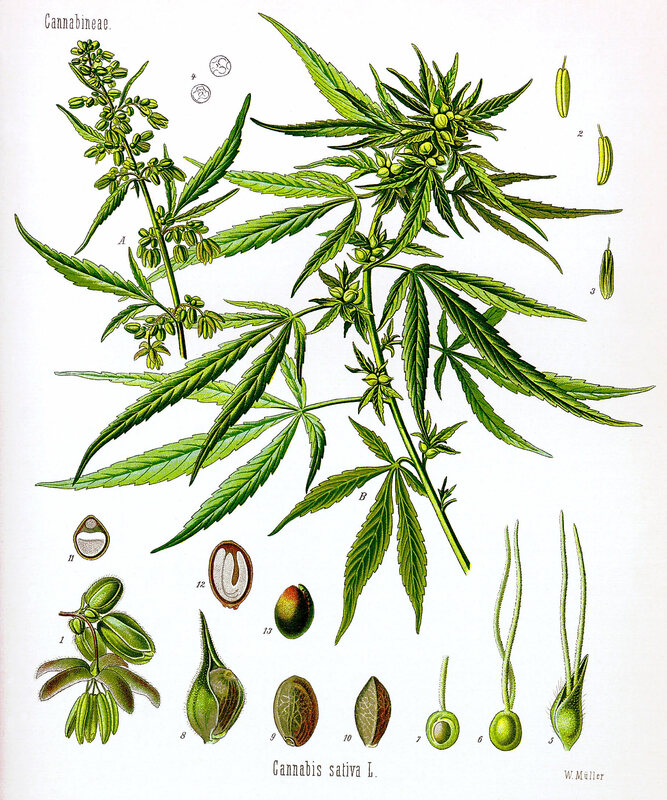 Cannabis was used by the local central Eurasian people for ritual and/or medicinal purposes. So, it looks like either travelers or residents along the Silk Road not only knew about cannabis but used the herb for its psychoactive properties. The plant was beloved enough to be used as a burial shroud. It was also important enough to be harvested and perhaps cultivated by locals in the region.